The BBC visited our nursery a few weeks before Chelsea and filmed in our greenhouse, although there were very few flowers out at that time, Monty Don then came to our display at Chelsea and finished off the filming with me. It was amazing how many cameras, sound crew etc. descended around our display. New : Try also watching our short videos explaining 'How to sow' and 'How to stop' Sweet Peas. This lovely sweet pea was named after Helen Millar. Sadly Helen passed away in 2012 from Motor Neurone Disease but her memory will live on in her favourite flower. This sweet pea was bred by Andy Beane and has large blooms on stout stems and is excellent for cutting and exhibition. 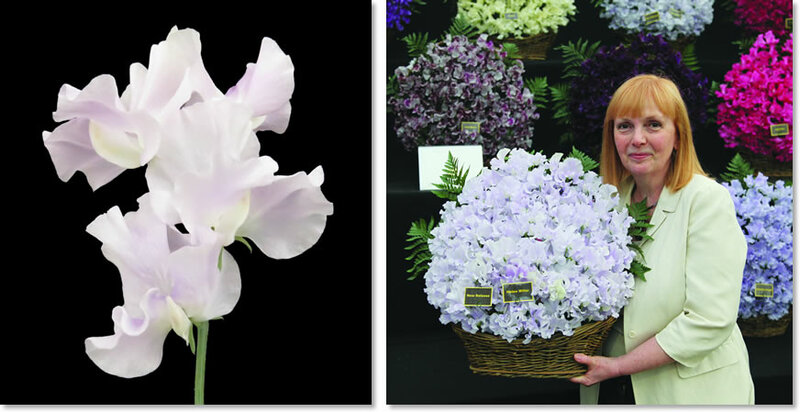 Helen Dyson, who named the Sweet Pea after her friend of 50 years, at the release of the new variety at Chelsea Flower Show 2014. 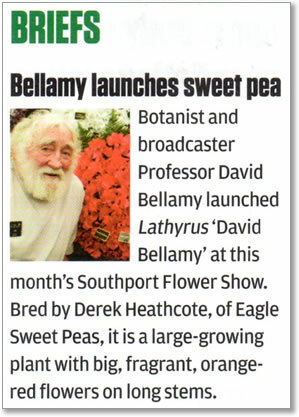 Professor David Bellamy being presented with the new Sweet Pea at Southport Flower Show in 2011. 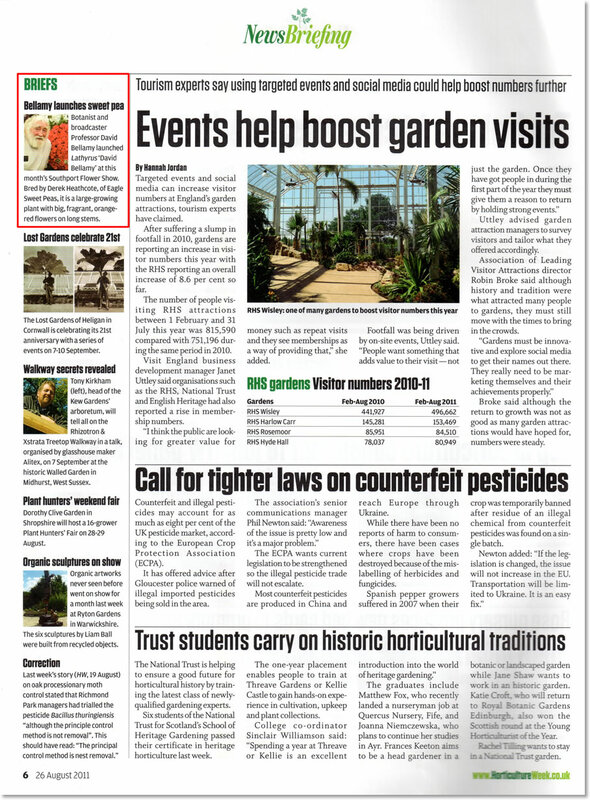 Article in Amateur Gardening (click to view the whole page). 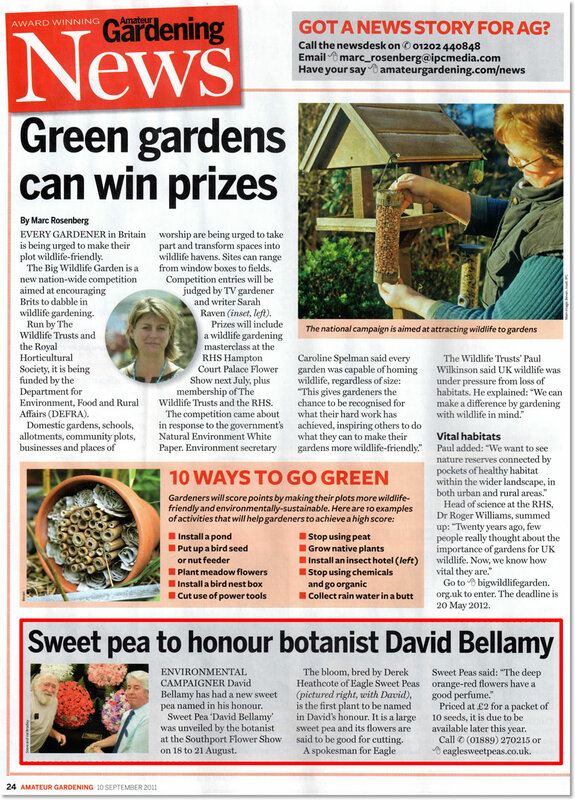 Buy Sweet Pea 'David Bellamy'. Sweet Pea variety "David Bellamy" (click to view the whole page). the Chelsea Flower Show in 2009. 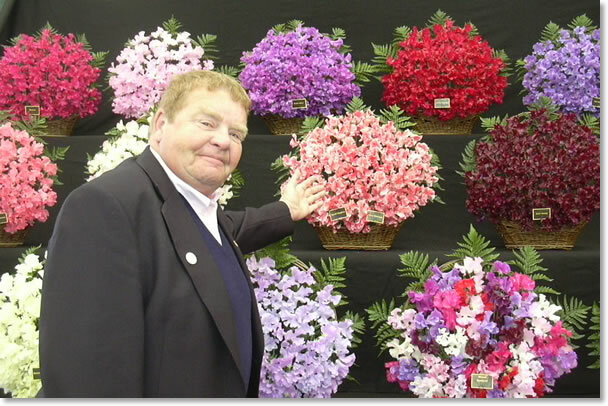 Buy Sweet Pea 'Geoff Hughes'. 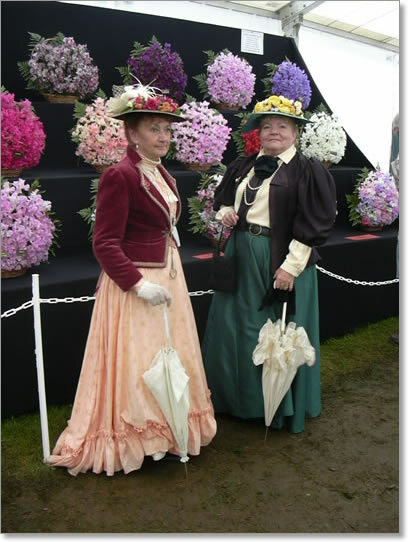 Victorian Times at Tatton park Flower Show in 2008. Eagle Sweet Peas, Broadmoor Lane, Stowe-by-Chartley, Stafford, ST18 0LD.